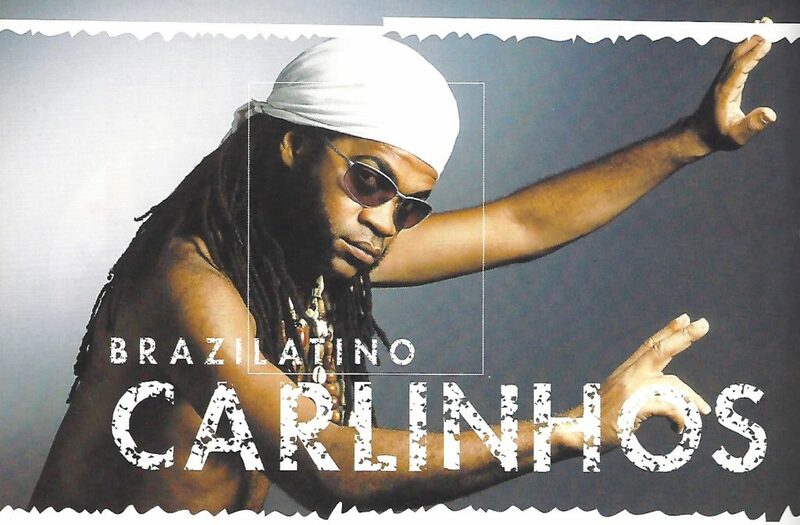 Brazil’s iconoclastic Carlinhos Brown, who played a knock-out show in July at Lincoln Center Festival, has been a sensation from the time he burst onto the international world music stage in the 1990s. See Banning Eyre’s report and photo essay here. 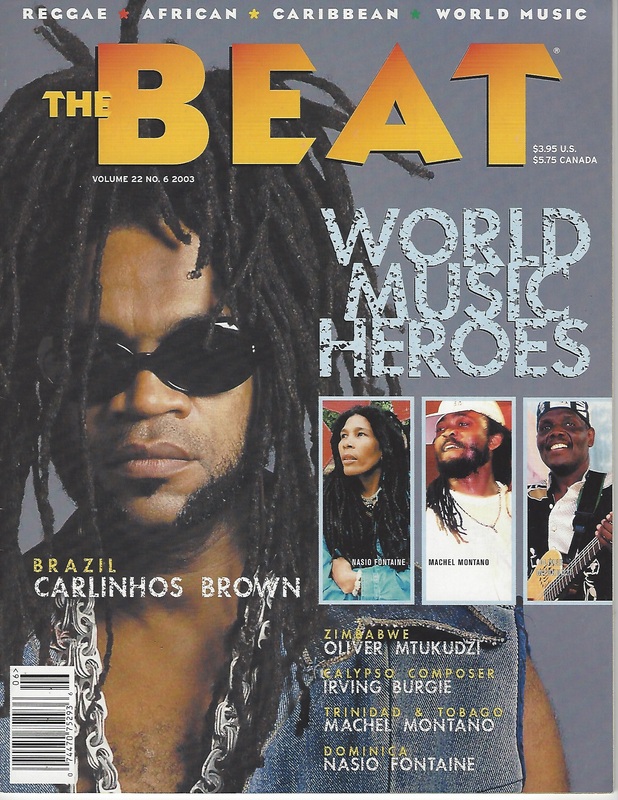 To accompany his New York appearance and provide some deep background, we have two "Best of The Beat" features on Brown, one from 1994 written by Monica Cavalcanti, and another from 2003 by our “Brazil Beat” columnists Mara Weiss and Nego Beto. His band, Timbalada, began in Salvador, Bahia in 1989 as a Carnaval group made up of 110 percussionists playing 35 timbales, 20 surdos, 10 bacurinhas, and various other percussion instruments, and became one of the contributors to the bloco afros movement encompassing samba-reggae and fricote. Coming up, he worked with many of the greatest Brazilian icons: Gilberto Gil, João Gilberto, Gal Costa, João Bosco, and in 1992 his collaboration with Sergio Mendes on the Brasileiro album won the world music Grammy award. He has released 12 studio albums from 1996-2015 and received six Latin Grammy awards for his own recordings. 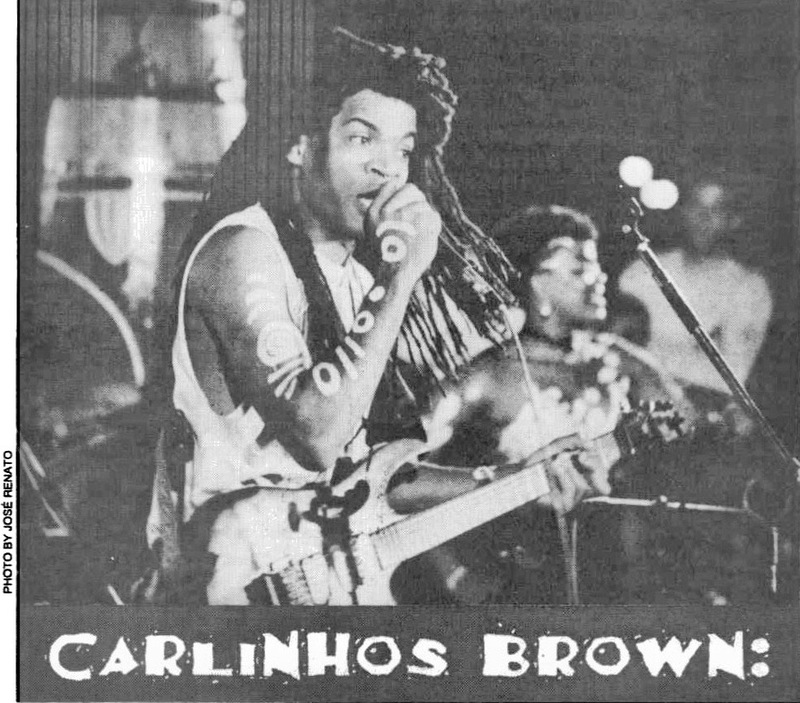 Our second feature finds Carlinhos 23 years later, when he produced a Brazil-Latin fusion album, Carlinhos Brown e Carlito Marron.